Product prices and availability are accurate as of 2019-04-23 00:49:58 BST and are subject to change. Any price and availability information displayed on http://www.amazon.co.uk/ at the time of purchase will apply to the purchase of this product. 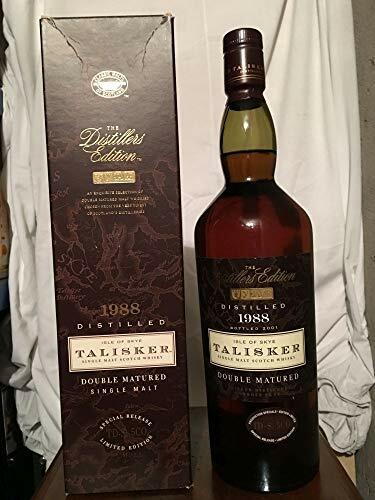 This double ripening Talisker was distilled in 1988, and bottled in a limited edition The Distiller's Edition in 2001. Alcohol content: 43% vol. Bottle in excellent condition.